Tyler Trent’s story continues to raise attention and funds for cancer research. Trent, a Purdue super fan from Carmel, died Jan. 1 at age 20 after a courageous battle with bone cancer, which drew national attention. Trent’s parents, Tony and Kelly Trent, were guests of U.S. Rep. Susan Brooks (R-Ind.) at the Feb. 5 State of the Union address in Washington, D.C. The Trents’ visit began with a tour of the White House. 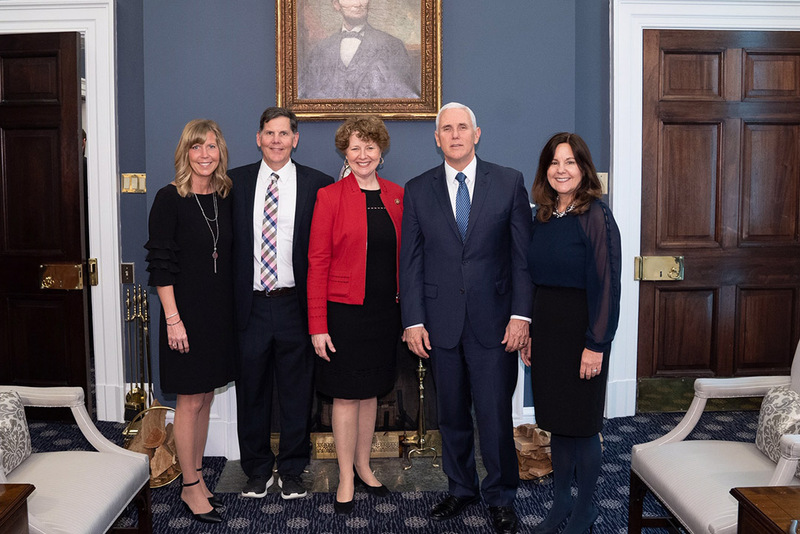 They met with Vice President Mike Pence and his wife, Karen, in the West Wing for 15 to 20 minutes. The Trents didn’t meet President Donald Trump, but they walked by an office when he was talking with his staff. “It was surreal that I just walked by the president of the United States,” Tony said. The Trents attended two parties before the speech, including one held by Republican House Minority Leader Kevin McCarthy. Attending the State of the Union made Tony think of his late son. A fund started in Tyler’s name for Purdue’s Center for Cancer Research recently topped $1 million, surpassing Tyler’s goal. A book will be published by Tyler Trent on Purdue’s improbable Oct. 20, 2018 victory over then-No. 2 Ohio State, called “The Upset.” Trent had predicted the upset on ESPN. Book sales will benefit the V Foundation, Riley Hospital for Children and Purdue’s Tyler Trent Cancer Research Endowment. The Trents also want to help cancer patients’ families in some way. “Families go through a lot of heartbreak and a lot of turmoil, and we want to help some families with some things,” Tony said. Tony said more than 8,000 copies of the book have been sold so far. For more, visit tylertrentbook.com.